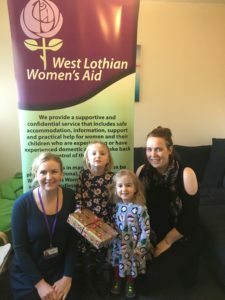 This year Annie has been saving her pocket money and decided to use some of it to buy a gift for another little girl who is staying in our housing facility over Christmas. Moving because of domestic abuse can be a very difficult time but it’s especially hard over the festive period. WLWA are very grateful to the people and organisations who support us.